Healthy Hair Is Top Priority! 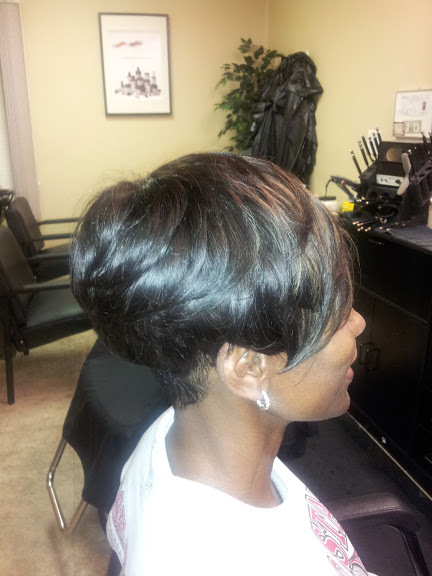 The foundation of any good hairstyle should be the health and care of the scalp. Here at The Hair Care Company® we believe in preparing the scalp for hair extension services with our Scalp Exfoliating Treatment. Scalp Exfoliation is a type of deep cleansing for the scalp that removes any dead skin cells, dirt, and product buildup. And because sew in weaves cover most, if not all of the scalp, it is imperative that we properly exfoliate to keep the scalp healthy for the duration of the hair weave. 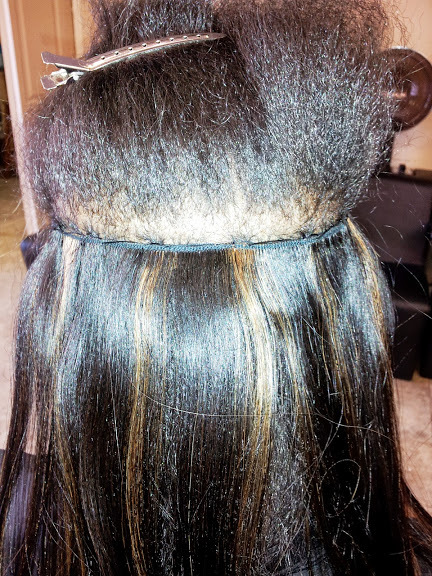 Scalp Exfoliation is not included with hair extension services but is offered at a discounted price. 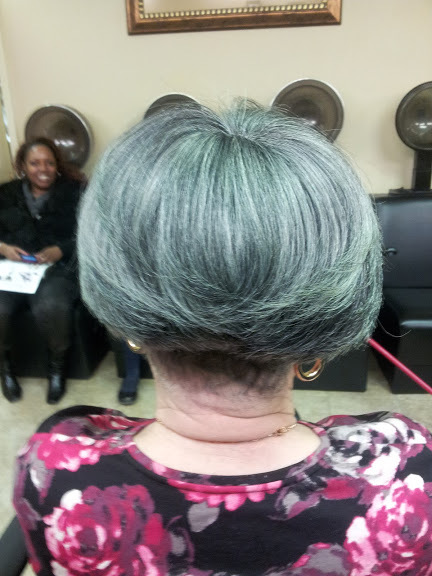 Hair is not included with The Hair Care Company Extension Services. Many women have a favorite hair brand that they love, and by all means, we encourage you to use the type of hair you prefer. 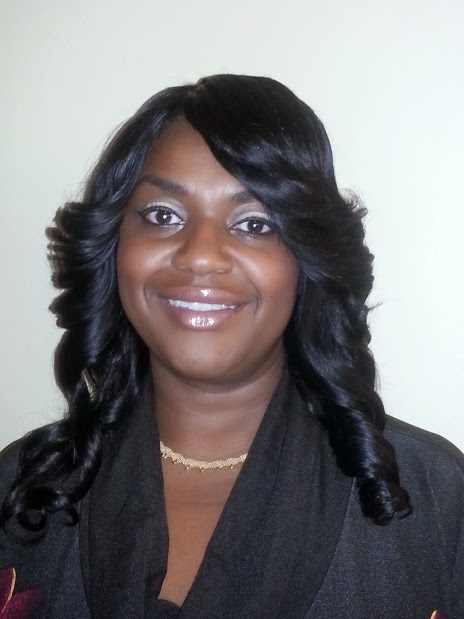 If you do not have or are not sure of a particular brand, we do recommend Mayvenn Hair. 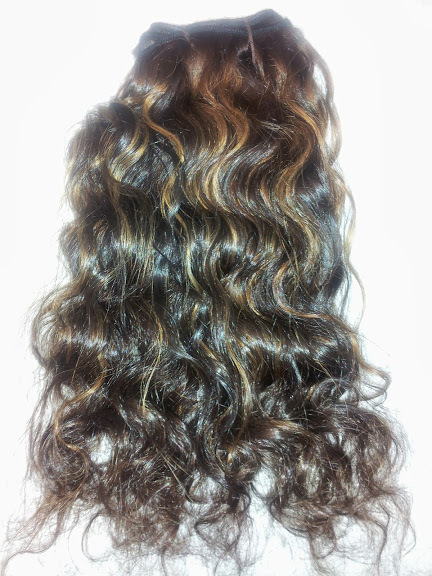 It is easy to color, flat iron, curl, and set, comes with a 30-day guarantee, and free priority shipping. 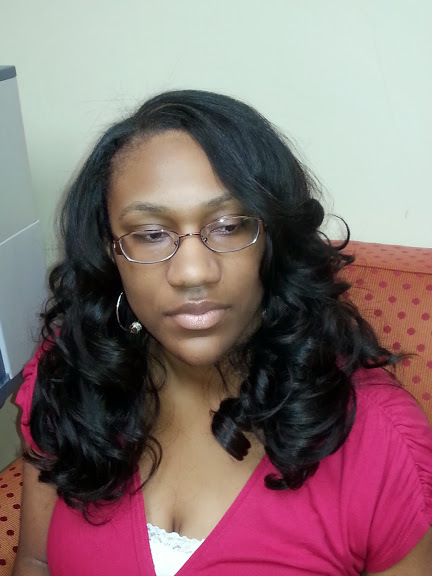 All The Hair Care Company hair extension and weaving services include shampoo, condition, haircut, and styling. New! Revolutionary! And Good for your hair! We believe in nurturing the hair, so we are implementing a new technique of hair extensions that actually works with your hair in the most natural way. There is absolutely no glue, no braiding, no units. Just have a look below. 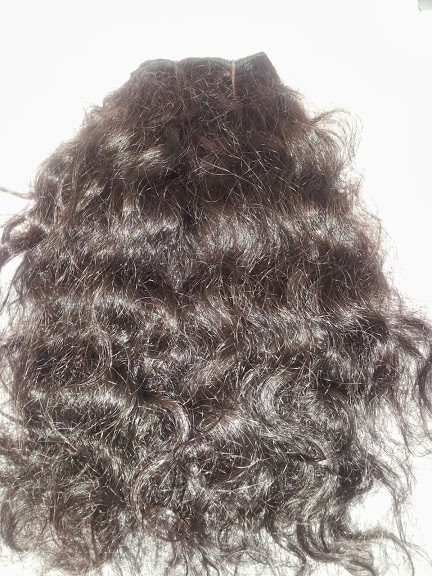 Our Gentle Rings™ are the most natural looking hair extension process on the market today. Seriously, this is so amazing you will ask yourself: "Why didn't anyone think of this before?" 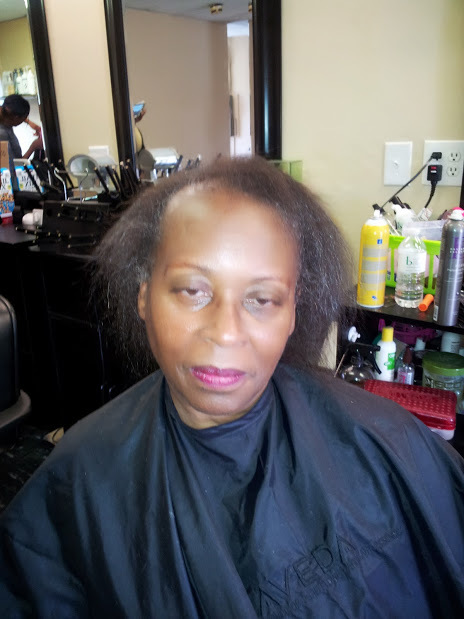 All Gentle Ring™ services must first be assessed, and a free salon consultation is required. Please call our salon for details. 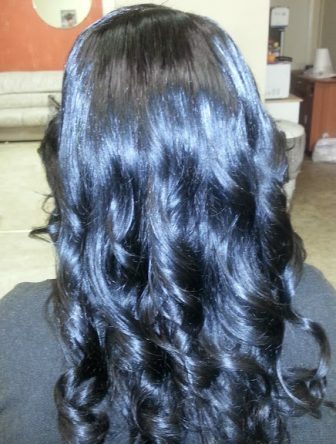 The Hair Care Company® takes pride in all hair extension services. 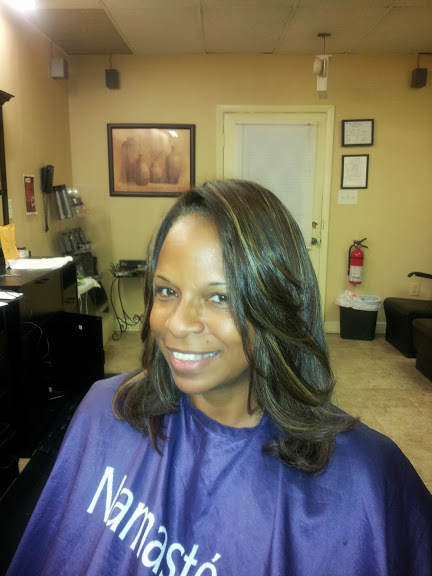 We are careful in adding as well as removing extensions to preserve the health of the natural hair. Sew In weaves is a technique by which weft hair is sewn onto cornrows. This is the earliest technique of hair weaving and is still the most popular today. 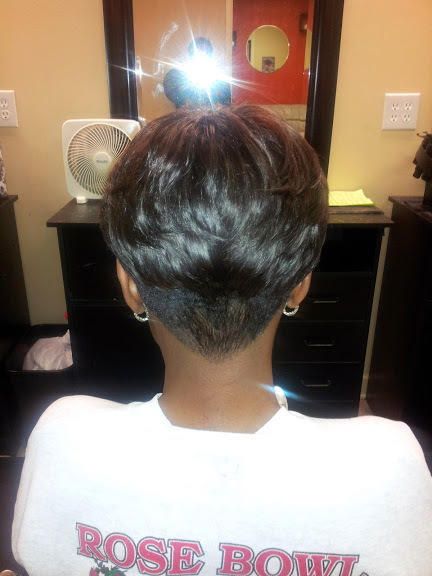 It is recommended that a small amount of your natural hair is left out to create a more natural looking style. 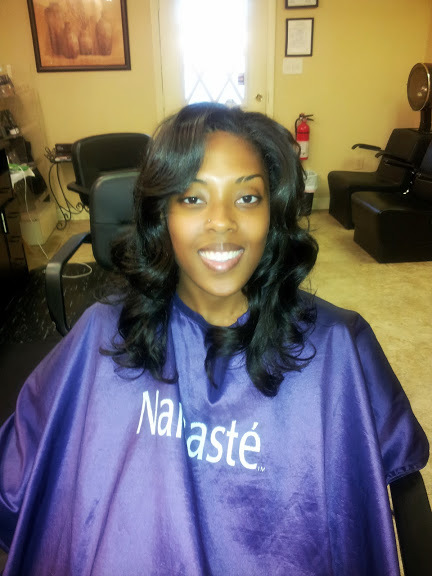 For hair that is naturally thin, a full sew in weave is recommended with a natural looking closure. 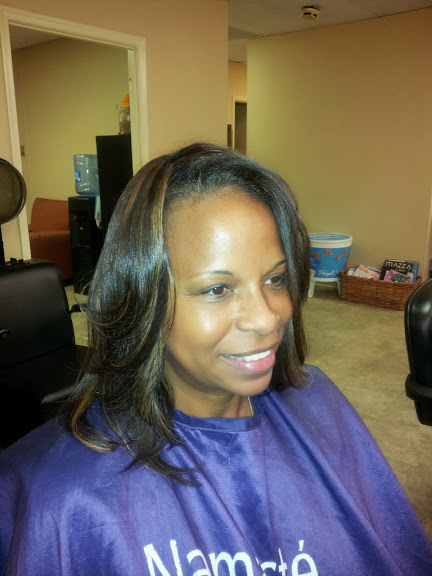 The sew in weave can allow your natural hair to take a break from everyday wear and stress allowing it to “grow out.” It also is a great alternative for the active woman for simplicity and convenience. 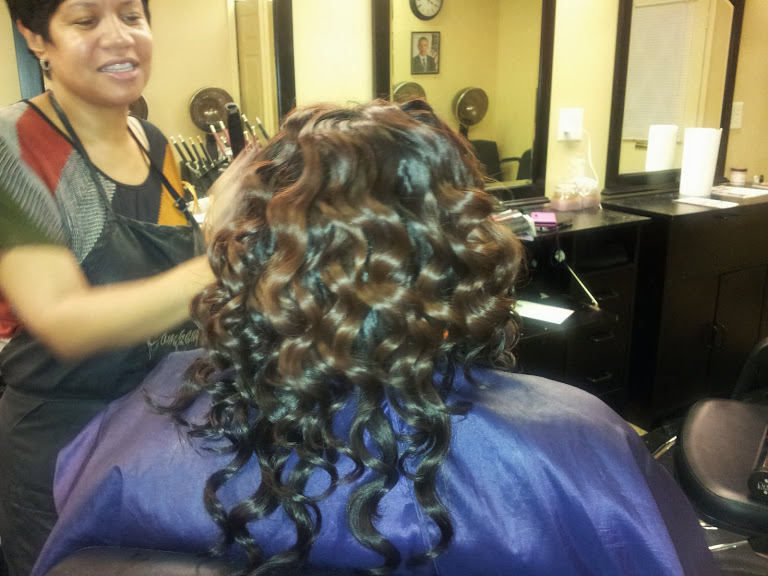 The Hair Care Company full sew in weaves start at $200, and partial sew in weaves start at $125. A free consultation is recommended. 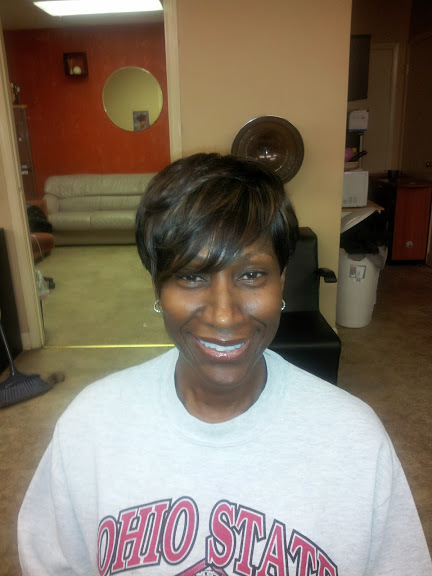 Net weaves are perfect for women experiencing hair loss due to alopecia, dermatitis, balding, and medical reasons. 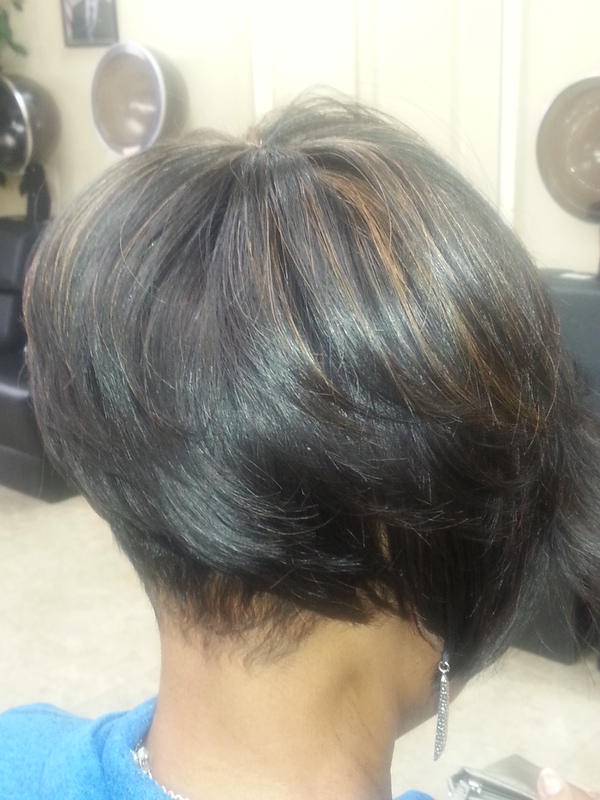 It’s also ideal for women that are growing out short haircuts. 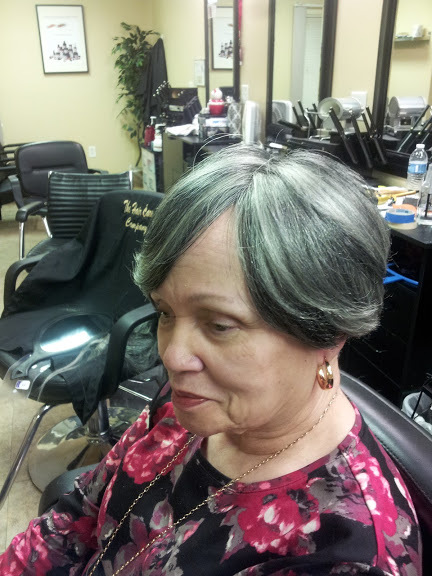 Net weaving is the process of adding a soft, natural feeling net to the entire head, and weft hair sewn onto the net replicating the presence of cornrows. 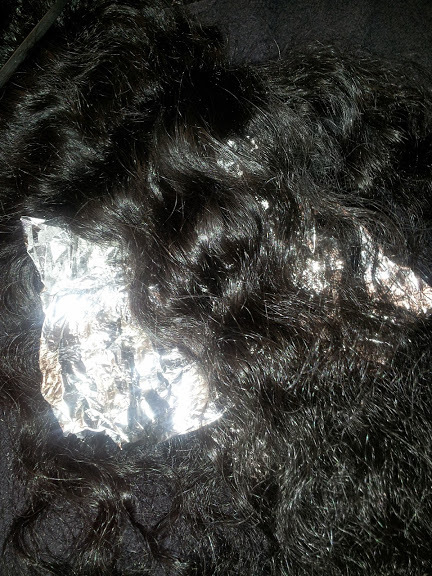 This technique relieves tension on the hair allowing the follicles to breathe to help promote new hair growth. 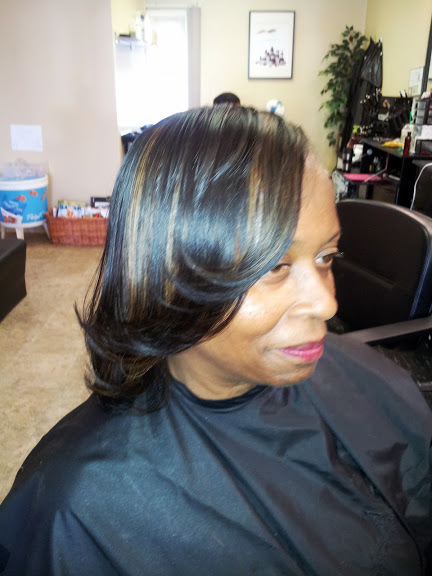 Both the sew in and net weave techniques lasts anywhere from 8 to 12 weeks. 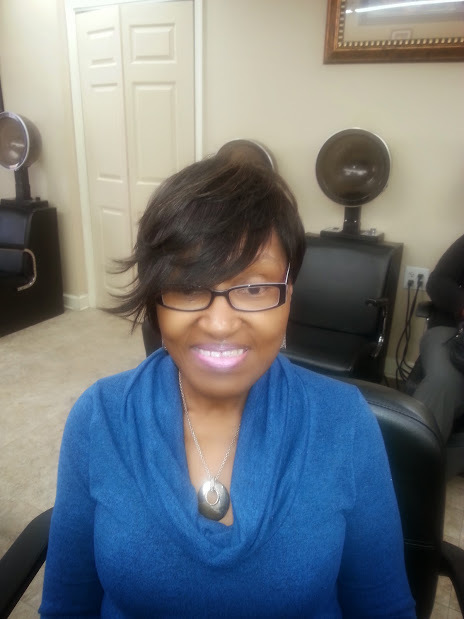 We suggest that you do not go longer than 12 weeks with any hair extension as this may cause the hair to loc or dread requiring the natural hair to be cut. 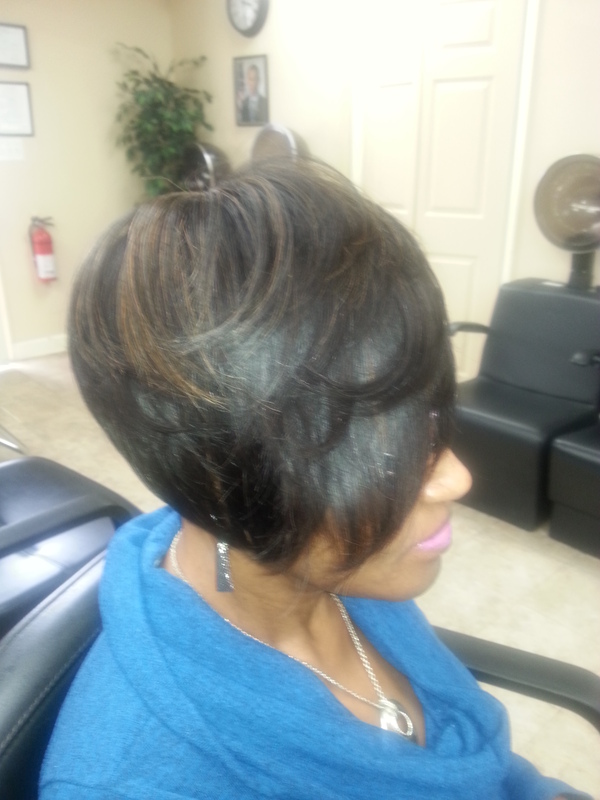 The Hair Care Company net weaves begin at $250, and a free consultation is recommended. 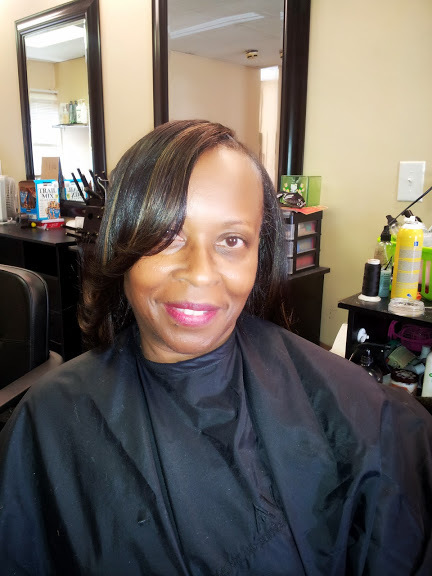 The Hair Care Company® has a team of highly trained professional in the field of coloring that will customize your hair bundles to suit your taste and needs. 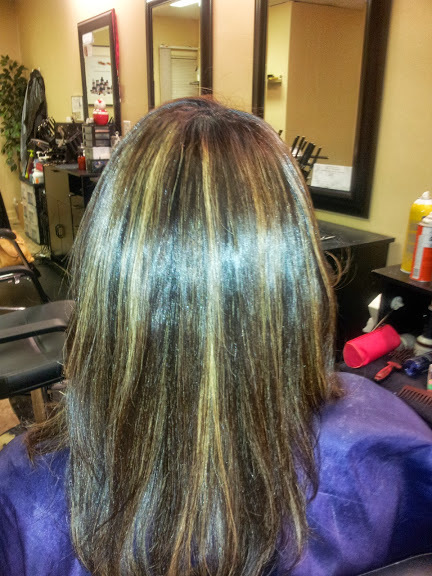 Our custom color services for hair extensions vary in price, and is determined by the amount and type of color used. Consultation is required.